With less than a week until Valentine's Day, it is time to get serious about your kid's valentines. I mean, if you haven't already. I am sure you have. I mean, I totally have. Sort of. If you are looking for something cute, easy, and fun, then of course you go to Lisa Storms. These are the printable arrow valentines that she created for her daughter and is sharing on her site. So unless her daughter is in your class, these would be one of a kind. 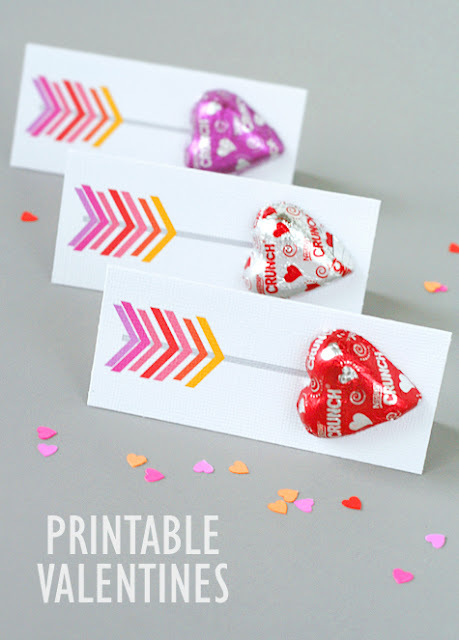 You can download these free printable arrow valentines over at Lisa Storms. These are great!! what a fantastic idea! !